Unless you live under a rock, or have actually frozen to death, you know the Midwest is the North Pole right now. I wish I could say I've never had to wrap my cat in a dish towel to regulate his body temperature, but in the summer I didn't have air conditioning. That's one of the drawbacks to my otherwise amazing vintage Chicago apartment. Now that the tables have turned entirely, I'm barricading my drafts with blankets, wrapping the cat in towels and telling ghost stories around my space heater. The only thing to do in weather that restricts you to the four walls of your studio is make soup, and love, but mostly soup. I finally got a new food processor for Christmas as I accidentally broke my old one. I've been dying to make this since the first nip in the air, but it's virtually impossible without a blender or processor. I normally hate recipes that require extra kitchen gadgetry but I'll stand by this staple recipe. Folks, I won't lie to you. 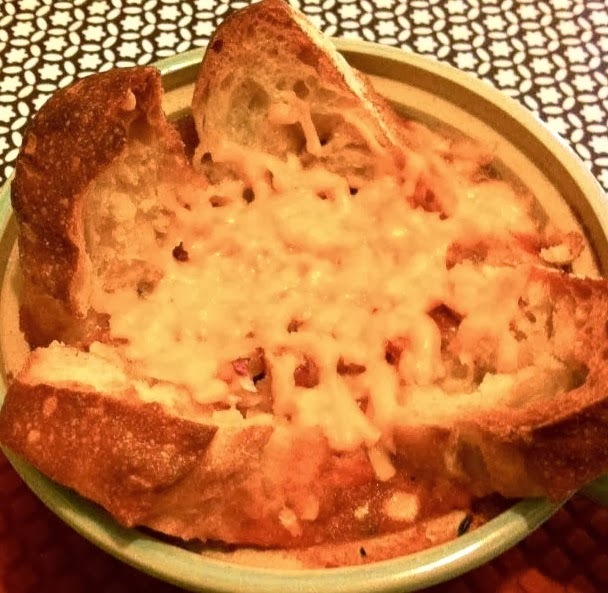 If this recipe looks familiar it's because it was featured on Smitten Kitchen, which is my culinary and spiritual bible. I don't publish recipes that are not mostly my own. I spun this one slightly different than she does by adding a little of this, and a little of that. In case Deb Perelman ever tries to sue me. I'd be so flattered. 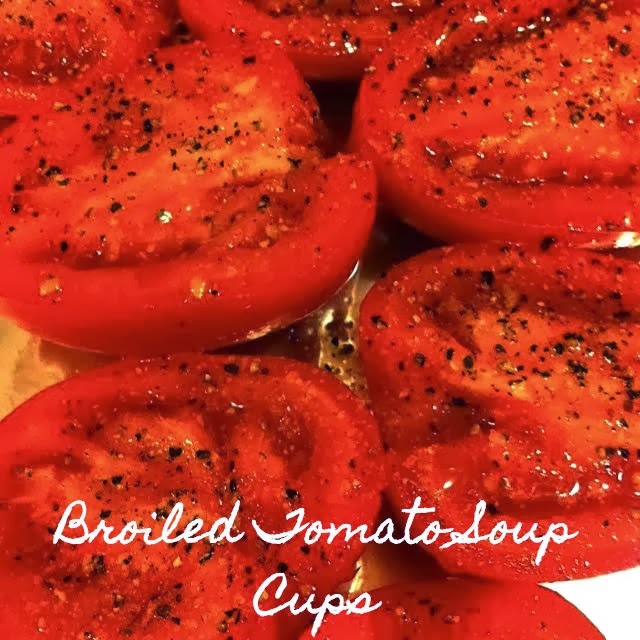 I make mine a little closer to the consistency of French Onion Soup than classic tomato soup. It's basically the same idea. Step 1: Preheat oven to 400. 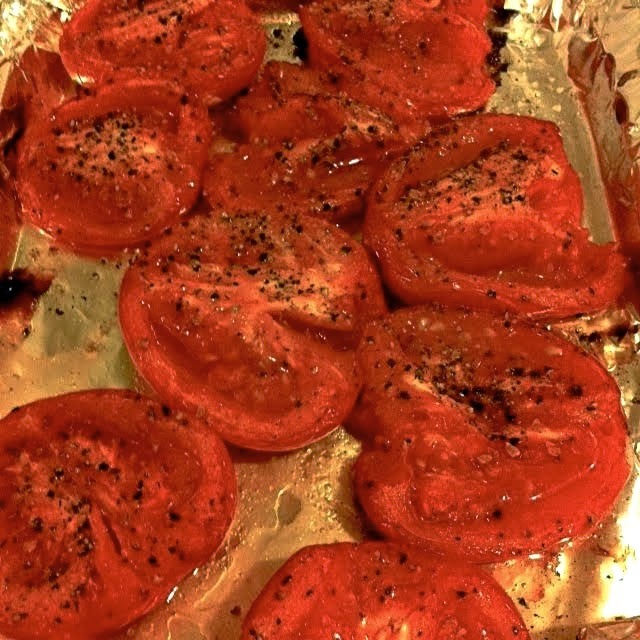 Line a cookie sheet with foil and dowse tomatoes in oil, salt, pepper, and dry basil or whatever spices tickle your fancy. Wrap unpeeled garlic cloves in foil, put on same sheet. Roast 30-ish minutes. Enough that tomatoes fall apart. 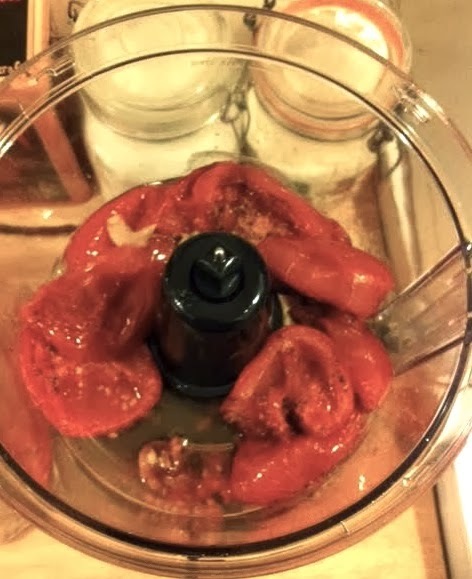 Step 2: Transfer roasted tomatoes to food processor. Take garlic from foil and squeeze into the processor cup. You will burn your hands during this process. I like to do this part by myself so as to swear in the privacy of my own kitchenette. Step 3: Puree tomatoes. I don't care for chunks. Toss the olive oil from the baking sheet in there too, why the hell not? While you puree, put stock, vermouth and additional spices into a pot. Combine tomato mush with stock and let simmer for like 30 minutes. It won't scour since it's more of a broth. Again, I suggest doing this ahead of time - the longer it sits the better it tastes.